Maxima Zorreguieta was a stunning February bride, walking down the aisle in Valentino to say 'I do' to the then Prince Willem-Alexander of the Netherlands. Their civil marriage took place at the Beurs van Berlage in Amsterdam followed by a religious wedding at the city's Nieuwe Kerk. The ceremonies, on February 2nd 2002, attracted worldwide attention with a huge royal guest list waiting for them in the church for their second ceremony. Now King and Queen of the Netherlands, they look just as loved up as they did on the day they married when Maxima was a perfect February bride. Princess Benedikte, middle of the three daughters born to King Frederik IX and Queen Ingrid of Denmark, was the last of them to say 'I do'. Her marriage, on February 3rd 1968 to Prince Richard of Sayn-Wittgenstein-Berleburg, took place in Copenhagen. 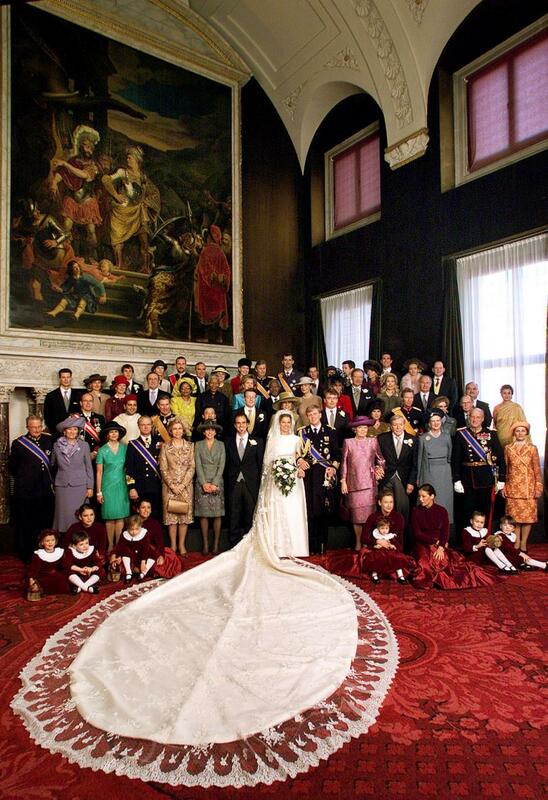 Despite this being a rather regal wedding, as you would expect for the daughter of a king, it was still playing catch up to the major royal nuptials the year before of big sister, Margrethe, the heir to the throne, and the ceremony of baby sister, Anne-Marie, who had married the King of Greece in 1964. Benedikte and Richard were happily married for almost fifty years - the prince died unexpectedly in 2017. You know Valentine's Day, that really famous date in the calendar that everyone knows? Well, apparently the future Grand Duke and Duchess of Luxembourg had no idea when it happened because after their set their wedding for February 14th 1981, they were surprised to find out they had booked the church for Valentine's Day. But what better day for these royal lovebirds to get married? This really was a royal romance with Henri, then heir to the throne of Luxembourg, falling in love with Cuban born Maria Teresa Mestre y Batista at university and they said 'I do' in a glittering royal wedding on the feast of lovers. They became Grand Duke and Duchess in 2000 and still look just as loved up now. A happy ending for this February bride.